I’ve said it before, I’ll say it again, I bloomin’ love Easter. It’s all the good things of a celebration (time with loved ones and delicious food) without any of the pressures (present buying and pleasing everyone). 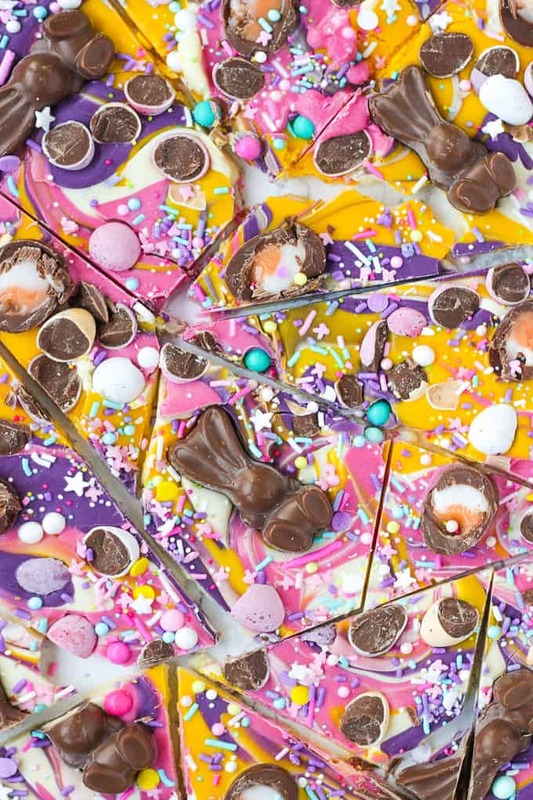 The lovely team at Pinterest UK have teamed up with Comic Relief this year to try and share as many ideas for fundraising through baking as possible. They asked me to come up with something super simple and impressive and here it is. I know I know, technically this isn’t a charity *bake* but I still think it would go down brilliantly at a bake sale don’t you? Packaged up in pretty cellophane bags with some ribbon? It’s so easy that even the busiest of us could manage a batch or two of this for a bake sale. Go on, you know you want to! 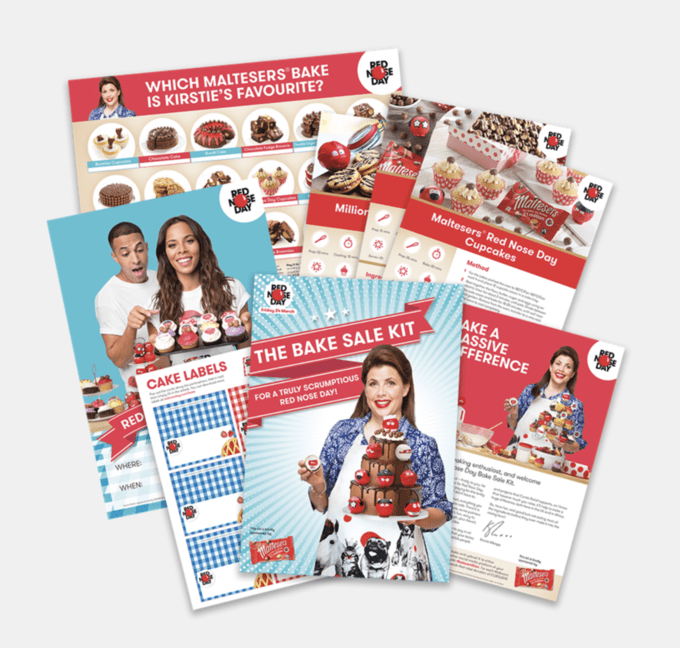 If you want to bake a massive difference this Red Nose Day then order a free fabulous baking kit from the Red Nose Day website here. Be very careful to melt all of the chocolate/candy melts very slowly, in a bowl resting over a pan of just bubbling water. Make sure that the pan is not touching the water. If the candy melts are too thick, add a few drops of cooking vegetable oil to thin them a little. If you’re going to be making batches of this, it’s worth buying quality chocolate in bulk. I use this Callebut White Chocolate form Amazon. It works out about the same price gram for gram as regular chocolate, but as you’re buying in bulk you get better value as it’s MUCH better quality. You can really tell the difference when you pour it. Be sure to pour onto baking parchment so that the bark peels off easily. If you’re looking for similar sprinkles, I LOVE this Unicorn Sprinkle Mix from BakesBox. Have you ever seen such glorious sprinkles?! 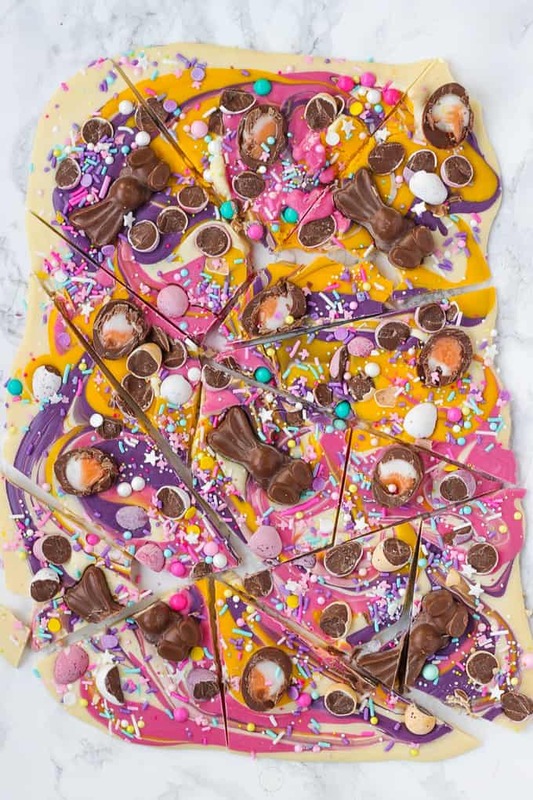 An Easter chocolate treat for all the family, combining all your favourite chocolates on one bark. 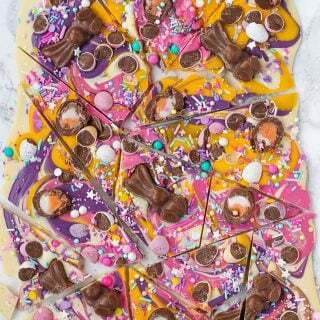 Gently melt the chocolate and candy melts separately. Pour onto baking parchment and swirl with a knife. Top with the chocolate treats and sprinkles. Chill until very firm (about 2 hours). Cut with a sharp knife and serve in shards. 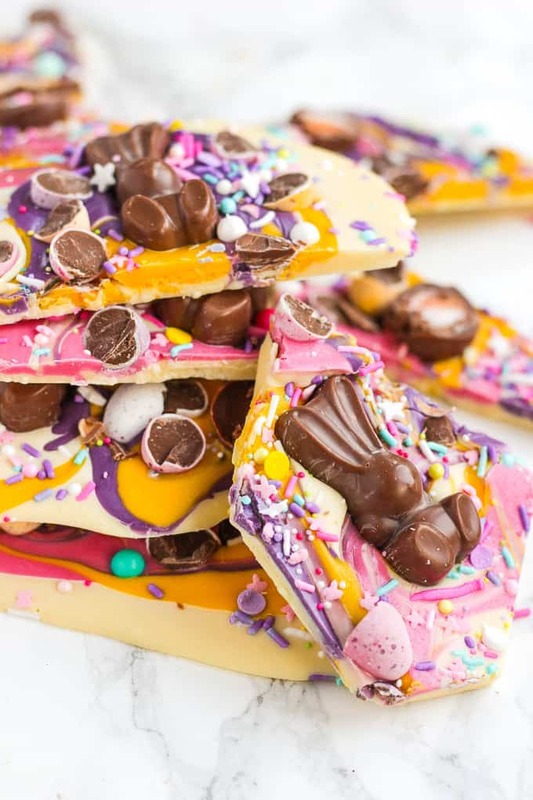 If you make the chocolate bark, please tag me in a photo on Instagram @tamingtwins or tweet me @tamingtwins, I’d LOVE to see! Oh my gosh those colours!!! How fun, great for kids too! This is so pretty! 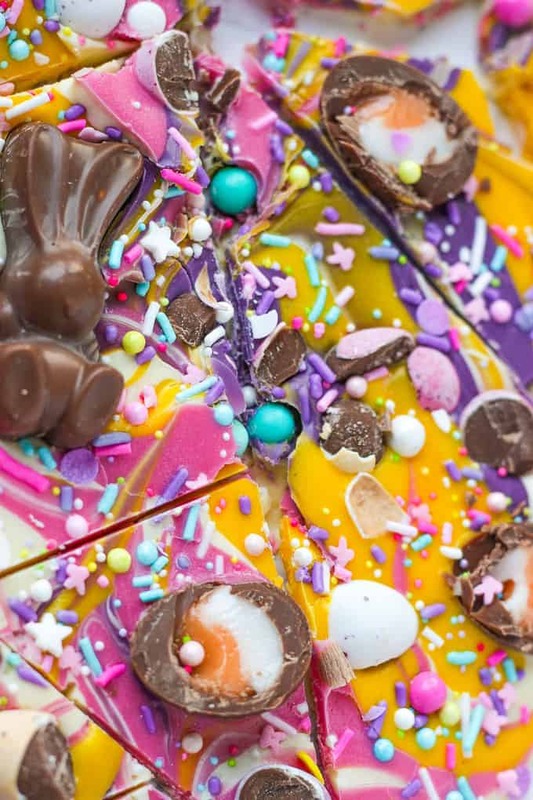 I love the bright colours and it features all my favourite Easter treats – amazing! So beautiful and colourful Sarah!!! A delicious idea ???? These look absolutely insane, great job! This looks to good to be true! Though I can imagine the toothache which might come with it once I make a batch myself! Just wanted to say loving your blog and youtube videos just found them today and think I’m hooked! Looks so yummy!! I want to try some of this recipe! I need to teach myself to make this. It looks amazing!! !